Woo I am pumped! I was recently contacted by Montagne Jeunesse (I recently blogged about their products when I was reviewing an Influenster VoxBox!) 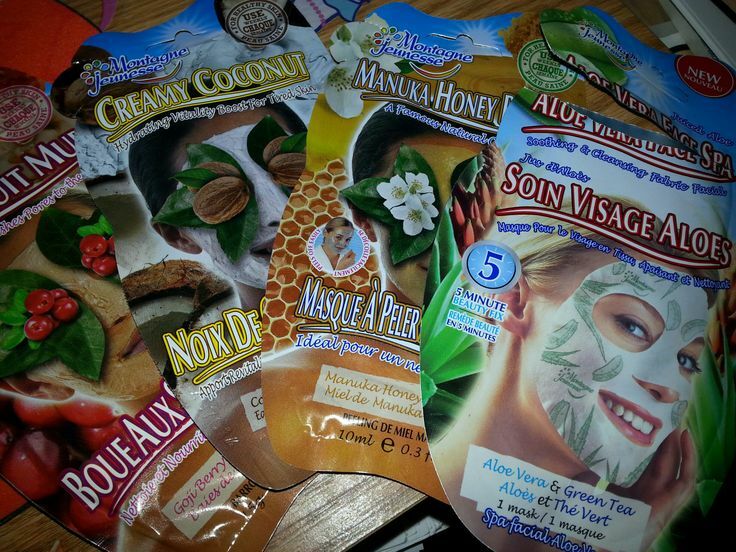 to review some new facial masks and I just received them in the mail! It was the perfect thing to discover after a long day at the office. I had a few extra minutes today while getting ready to go out with JDubz, so I thought I’d give one a try right now! Since I’d tried the Montagne Jeunesse Clay Spa Mask in my Influenster VoxBox back in January, I wanted to see what the new Aloe Vera Face Spa had to offer. (As you can see, this time around Montange Jeunesse sent me different samples from their face mask product line, so the Aloe Vera Face Spa was actually the ONLY fabric mask that I received in this set.) I really like these fabric face masks because they are very quick and easy, and there is literally ZERO mess. I was short on time and there’s a nice big “5 MINUTE FACIAL” icon right on the pouch, so I quickly ripped it open and applied it, as you can see in the photo lol! The first thing that I really liked was how they changed the aesthetic. When I had tried the MJ Clay Spa mask in January, my main criticism was that since the mask was light brown, it kind of looked like skin. I felt like I looked like a serial killer wearing someone else’s skin. However with the new Aloe Vera Face Spa that I tried today, the mask was designed in a MUCH more pleasing way. 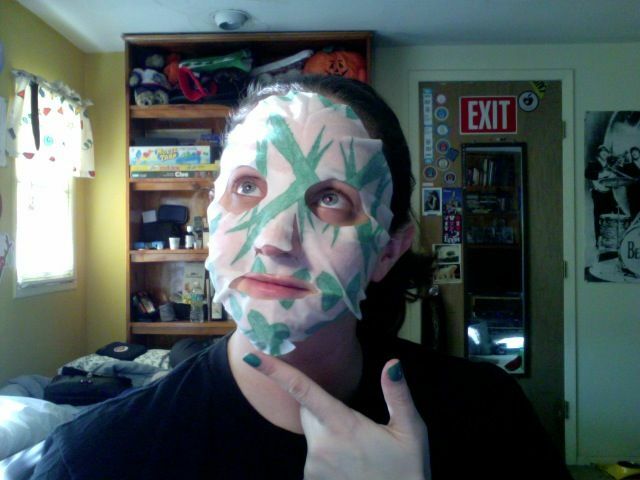 The mask was white with some aloe leaves printed on as a pattern. I really prefer this style because it looks a lot less creepy. I mean sure, any facial or mud mask facial from ANY brand is going to look creepy, that’s part of the fun! But at least this one didn’t look like skin lol! The application of the product was the same as my previous experience; it was easy, quick and no drippy mess. I enjoyed the light aloe scent as well. But the best part of the experience was after I rinsed off the mask. When I put on my makeup, I always start with my BB cream. I was very impressed with how the BB cream glided over my freshly treated skin. My skin was so smooth and silky, the BB cream slid over my skin like butter (in a good way). Gotta love that aloe!! I’m hoping to do a YouTube review of the other three masks in the next week or so. Check back soon for more info!